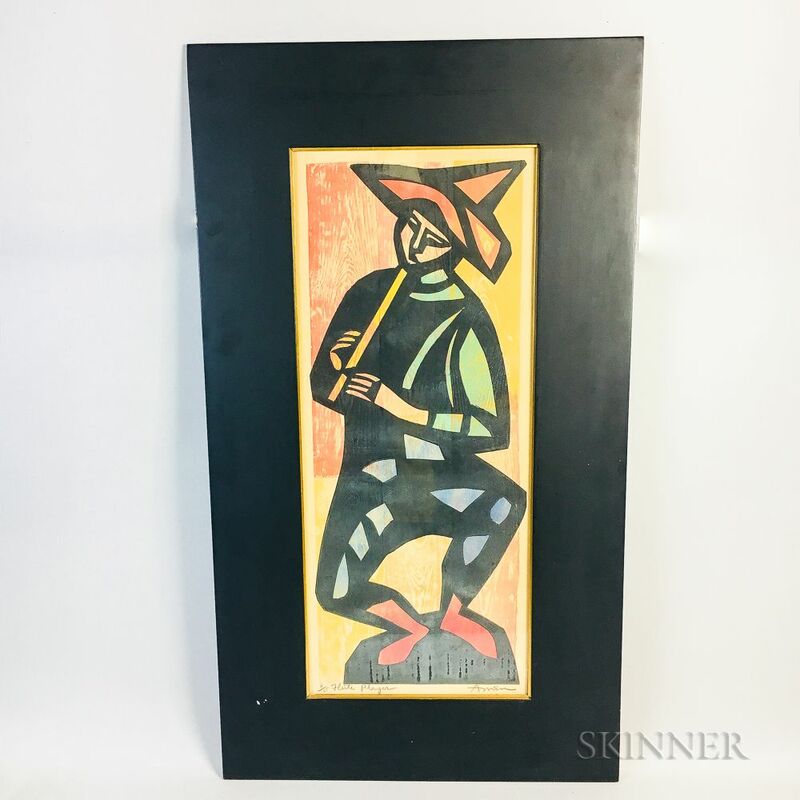 Framed Irving Amen (American, 1918-2011) Woodcut Flute Player, numbered "16/25," ht. 40 1/4, wd. 22 1/2 in.